"Something old, something new, something borrowed, something blue" is a very common phase that many brides take to heart. And if you're British, the rhyme ends with "and a silver sixpence in her shoe". Little tokens of love and luck, they are usually given to the bride to wear on her wedding day by the bride's mother, sister, other relatives and friends. Even though there are many interpretations of what each means, the following seem to be the most common: something old represents continuity from one generation to the next; something new offers optimism for the future; something borrowed wards off the evil eye of barreness (which traditionally should be the undergarment of a relative who has been blessed with children! ); and, something blue stands for purity, love and fidelity. A sixpence in the shoe is a wish for good fortune and prosperity. For something old, the phoenix pendant by Anna of Anna's Faire would be a unique addition to any wedding dress. 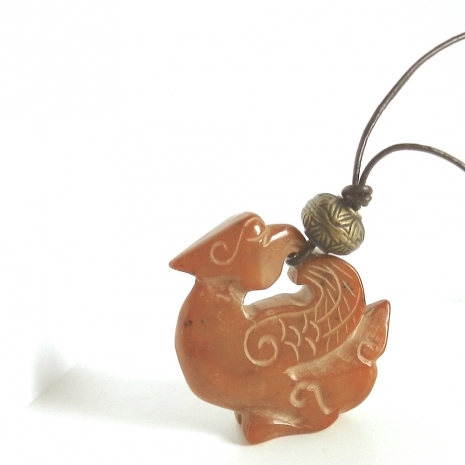 Representative of many things, the phoenix also signifies the female (yin) power and was associated with the Chinese empress. Since the goddess Juno was the protector of women in all aspects of life, especially in marriage and childbearing, a wedding in June was considered extremely lucky. August, July, May and September are the next favorite months. The idea of June weddings also comes from the Celtic calendar. On the Cross-Quarter Day of Beltane, or May Day (May 1), young couples would pair off to court for three months, to be wed on the next Cross-Quarter Day (Lammas Day, August 1). Many couples became very impatient at the "long" courtship so the waiting period was shortened to mid-June. 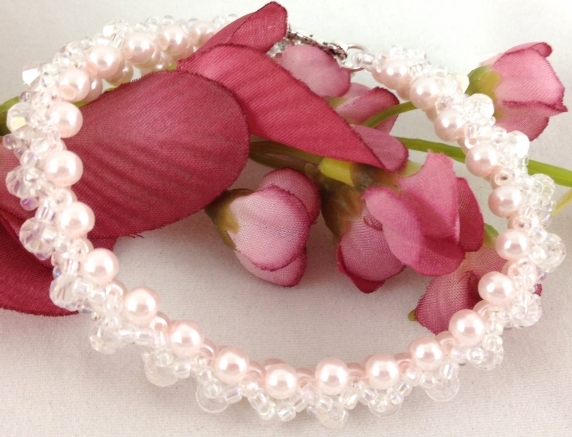 For something new, this beautiful pale baby pink and Swarovski crystal handmade bracelet by Nancy of Jazz it Up with Designs by Nancy is a perfect addition. Over the ages, Sunday used to be the most popular wedding day since it was the one day most people were free from work. However, in the seventeenth century, Puritans put a stop to this (and a lot of other things), believing it was improper to be festive on the Sabbath. In early U.S. history, Wednesday was the luckiest day for weddings. Friday was normally avoided because many criminal executions were carried out on Friday and it was known as the "hangman's day." Today, Saturdays are busiest, despite the old rhyme: "Monday for health, Tuesday for wealth, Wednesday best of all, Thursday for losses, Friday for crosses, Saturday for no luck at all." Since none of the Indiemade artists in this post offered used underwear for sale for the "something borrowed", I decided these sweet wine glass markers by Mary Beth of The Twisted Redhead were perfect. Four symbols are represented: an engagement ring, a multi-tired wedding cake, wedding bells and a kissing couple. According to tradition, only an unmarried woman could be a maid of honor, and only the brother, best friend, or father of the groom could be the best man. The original purpose of the bridesmaid and the best man was to get the bride to the church on time, and to keep any hostile family members away. Once the flower girl's role was not simply to spread petals down the aisle. The young girl, with her shield of virginity, protected the bride fro the Devil. Today, the ring bearer is a girl, a boy, or even a beloved dog. 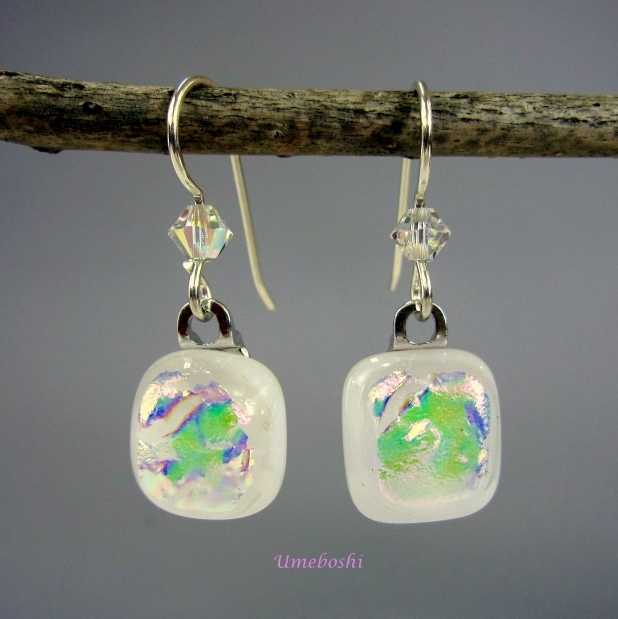 For the something blue, wouldn't a pair of earrings or a bracelet featuring these transparent light blue lampwork glass beads with fine silver be lovely? They were handmade by Charlotte of Covergirlbeads. 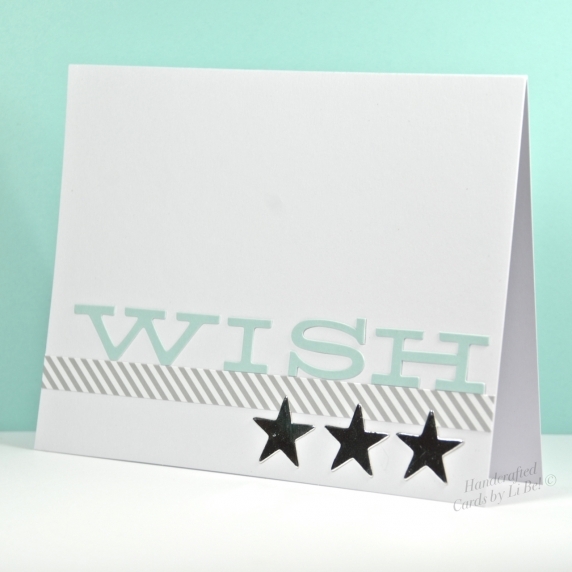 Wish a newly wed couple many years of happiness with this "Wish Upon a Star" handmade card by Lisa of Cards by Li Be! The card can be personalized to include a heart felt message. 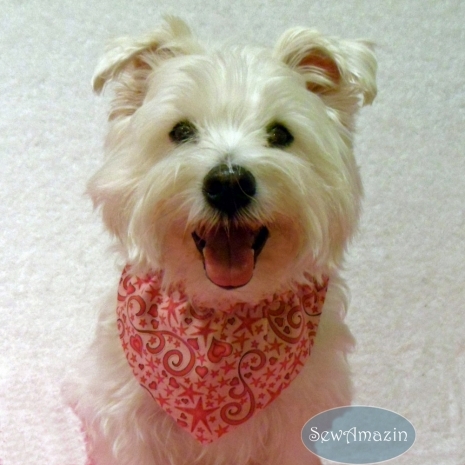 It is no secret that many of us consider our dogs to be an important part of the family. So it only makes sense to include them in one of the most important days of a person's life - their wedding! More and more couples are including their four footed friends as ring bearers, escorts, or just lovely, adoring companions. I hope you enjoyed this wedding edition of Wonderful Handmade Wednesday on Indiemade. Please visit the studios of the artists featured above to see more beautiful handmade items created with care and a lot of heart! If you would like to make my day and the day of the artists featured, please leave a comment. And any promotion you can do will be greatly appreciated. Thanks! Hey, i'm so glad to have been able to use your wine charm markers as the underwear stand in (: And what a great stand in they are! Many thanks for stopping in and commenting. Great post! Thanks so much for including my bracelet! All pinned and tweeted. Was glad to include your bracelet, Nancy! Thanks for the promo! Thank you for this lesson in traditional marriage, often wondered what all these little tokens mean. Am so glad you enjoyed the post, Diane. Many thanks for stopping in and commenting. Had to include a dog, Mary (: Had actually though about including my old beagle when DH and I got married (a very small ceremony - don't like all the big fuss), but a beagle does have a mind of its own and who knows where she would have ended up. She was very happy with her tasty bone afterwards (: Thanks for stopping by and commenting, my friend. Tasty treats to the handsome one! So many things to learn! There are so many things I never learned about weddings. Very interesting post. Will share. Another interesting blog post Catherine. Loved learning about all the old traditions, especially the "six pence in the shoe" which sounds mildly uncomfortable! 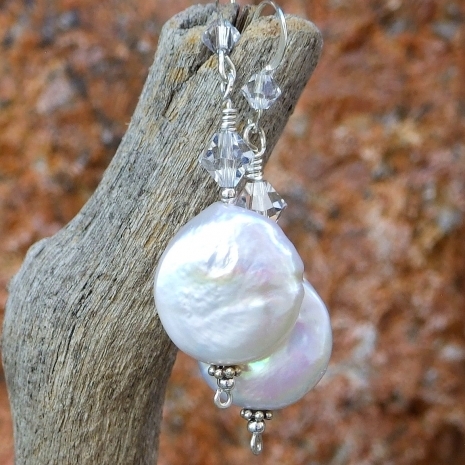 Beautiful items shared here and all perfect for any type of wedding. Thanks for including my Wish card. Hahaha . . . was thinking the same thing about Seamus, Donna. He'd see a squirrel or lizard . . . and those flowers or rings would be gone! Am glad Penny is thrilled since she does make a very high class doggie model. Thank you for stopping by and commenting! What an interesting wedding this would be. Hope I'm invited! Catherine, a very entertaining and informative post. Am glad you stopped by and liked the post, Sharon. It would be a fun wedding, indeed! Catherine, you've done it again! You've created a very interesting blog and decorated it with lovely creations! I learned so much and was very surprised by many of the facts - I had no idea Wednesday was considered the best day to get married.I didn't know about the used undergarments either. My, how times have changed. Thank you, Natalie, for stopping by and commenting! You've showed us some great items to go along with the traditions. What a nice surprise that you stopped by and commented, Linda - thank you! Great post, and shared to the ends of the Internet! Treats for your fuzzy, happy, wiggling protector and guardian of all things. Hahahaha, Julie. Was beginning to sweat how I could get past the underwear bit. Am glad Mary Beth's wine charm markers worked! Plus, I thought she would be happy her markers were a good substitute - LOL! And HAD to have a sweet pooch in the post! Thank you for sstopping by and commenting. Many squirrel chases to the wonderful Blu - dog. Cathering, love your post. You always find the most amazing things to post. 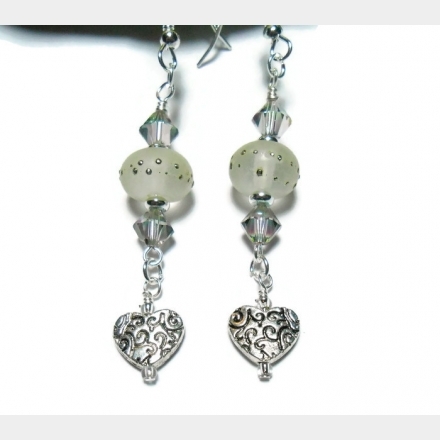 Thank you so much for including my little yellow tribal earrings. I am so glad you loved the post, Wooley! 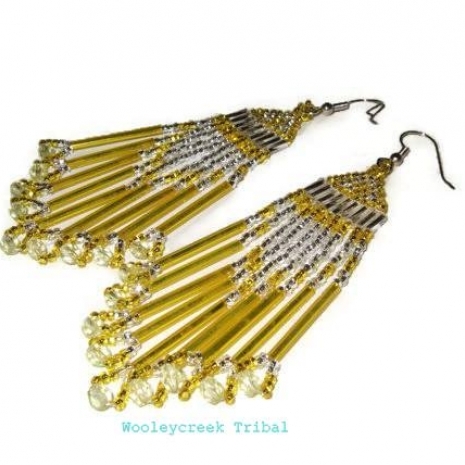 Your beautiful tribal earrings fit right in! I enjoyed reading your blog about wedding rhymes! 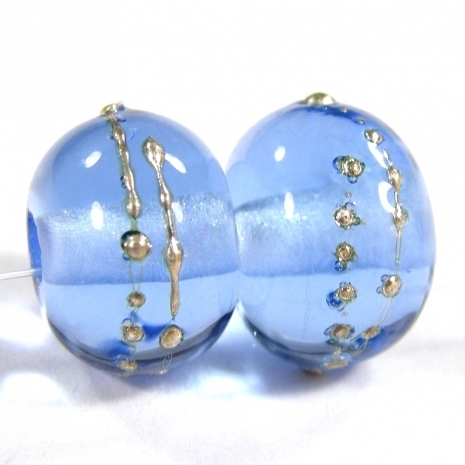 Thanks for including my blue lampwork beads. Catherine, I've always loved your blog posts and this one is no exception. I love learning something new every day, and I didn't know that Wednesdays were "best of all" for a wedding. I enjoyed your post and the illustrative handmade selections. Hmmm, I am so glad that the "something borrowed" can be substituted with many other items! This was such an interesting read and I enjoyed learning the historical meaning of the items in this familiar wedding day rhyme. 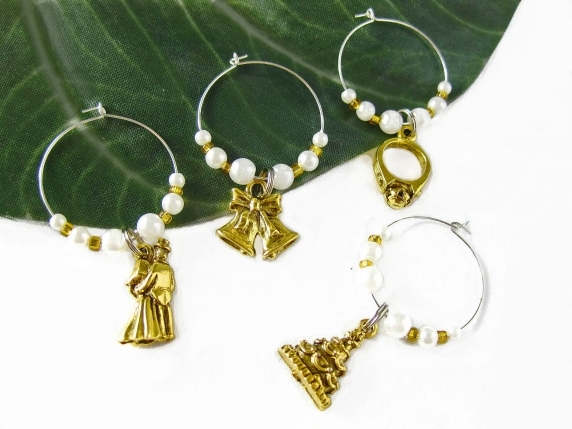 Of course the items you featured would be a perfect substitution for a bride on her special day.